ABSTRACT: While computing tools have continued to increase in processing capacity exponentially following Moore’s law, physical limits mean that these improvements have not transferred directly to sustainability analyses using traditional tools such as GIS and remote sensing. At the same time, increases in the complexity of sustainability challenges have continued, and new methods from data science such as deep learning have emerged. In the seminar I share experiences from our journey from catchment level analysis of integrated natural resource management problems like conservation, water resource management, and land degradation, through to addressing global challenges of food security emissions abatement, climate change, and energy security at large spatial scales using high-performance computing. I evaluate a range of different software and hardware platforms for analyzing spatial and temporal data using parallel programming and high-performance computing. I will show a range of applications from multifunctional landscape planning, to modelling crop yields, tree growth and carbon sequestration, large-scale data handling using a range of different combinations of software and high-performance computing hardware. These advances in computational capability have led to a step change in both the scale and resolution at which we can address pressing global sustainability challenges and they can work for you too. BIO: Bryan is an internationally-recognised research leader focused on creating cost-effective policy and management solutions for people and the environment. 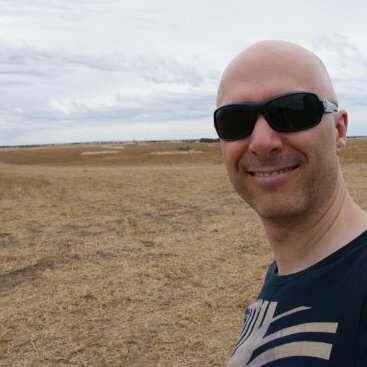 As a geographer, Bryan has research interests in the application and development of computational tools and analytical methods in a diverse array of social and environmental contexts. He has expertise and over 20 years of experience in quantitative spatio-temporal data analysis and modelling. He has domain expertise in integrated modelling and assessment of land use and ecosystem services, and has worked in both terrestrial and marine environments. Bryan’s research interests are at the human/environment interface combining aspects of land use and management; agriculture and food security; water resources management; global change impact assessment, mitigation, and adaptation; biodiversity conservation; energy analysis; and economic and policy analysis. He has conducted research in China, India, Indonesia, the United States, and many parts of Australia. He has successfully delivered several major research projects including the Lower Murray Landscape Futures and the land use component of the Australian National Outlook. Appointments with guest speaker may be made via Natasha Kaukov.